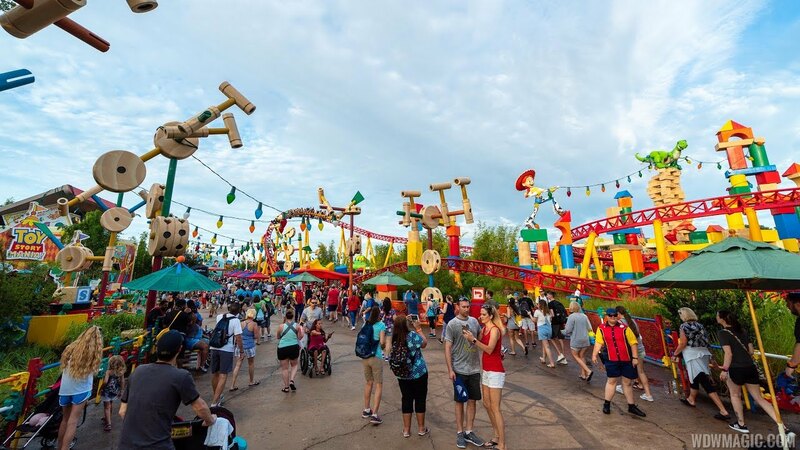 Walt Disney World is presenting it's newest addition to the media today - so let's get started on a more detailed look at the 11-acre Toy Story Land. 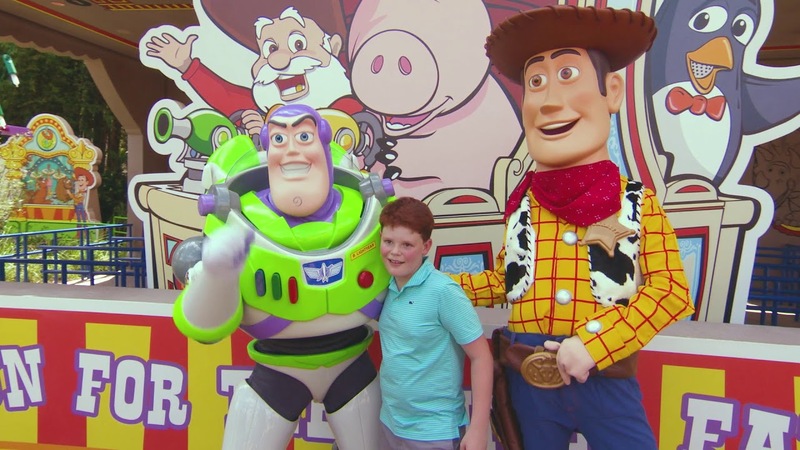 In Toy Story Land at Disney’s Hollywood Studios, Woody, Jessie, Buzz Lightyear, Slinky Dog, Green Army Men and other fun-loving Toy Story characters come to life in the outdoor setting of Andy’s backyard. A world of toys surrounds guests: giant building blocks, Tinkertoys, yo-yos, board-game pieces, dominoes, Scrabble tiles, and even a giant roller coaster set. Toy Story Land includes two all-new attractions and a new entrance for the classic Toy Story Mania! From his Dash & Dodge Mega Coaster Kit, Andy has assembled his roller coaster for maximum family fun, and it is called Slinky Dog Dash. But instead of just using the roller coaster vehicle that came with the kit, Andy has put his Slinky Dog on the track. The result is a family-friendly thrill ride around the backyard that includes two launches. Tracks and supports in bright colors of red, orange, yellow and blue were snapped together according to Andy’s hand-drawn plans. Slinky Dog Dash is inspired by the delightful pooch spinoff of Slinky, the classic 1940s American toy. Riders of all ages delight as Slinky Dog bends and twists his coils around curves, over hills and down drops in the Slinky-est coaster ever. Slinky Dog Dash has a 38"height requirement, with lap-bar restraints. Seating is 9 rows of 2. Alien Swirling Saucers immerses guests in the playful world of Andy’s imagination. This galactic space toy is designed as a playset Andy won at the Pizza Planet restaurant. The adorable little green Aliens from Pixar Animation Studios’ Toy Story swirl about in toy rocket ships with guests in tow, while “The Claw” hangs overhead. Two sets of 11 saucer/rocket-ship pairings spin guests through a multi-colored galaxy to a raucous, energetic musical beat. The height requirement for Alien Swirling Saucers is 32". Toy Story Mania! – one of the most popular attractions at Disney’s Hollywood Studios – receives an all-new entrance. Woody’s Lunch Box serves tasty meals and old-fashioned soda floats from a walk-up window in a setting surrounded by Andy’s favorite toys and a giant vintage thermos. Order a grilled three-cheese sandwich, grab a seat under festooned lighting at a Tinkertoy table and take in the scene. You’ll even spot Sarge, the Green Army Men leader, in a tower on the lookout for Andy. Woody’s Lunch Box features Mini Babybel cheese – the Official Snack Cheese of Walt Disney World Resort. Babybel’s famous cheese wheel also provides inspiration for fun chairs and tables nearby. Check out all the food at Woody's Lunch Box, and the full Woody's Lunch Box menu. 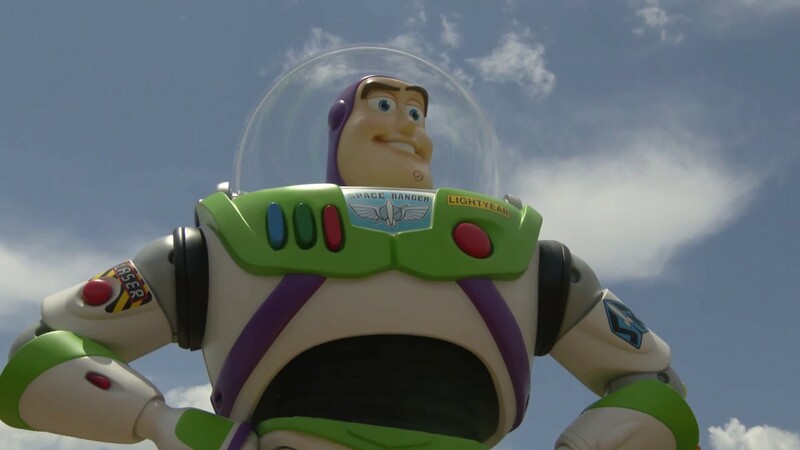 Woody, Jessie, Buzz and their pals appear throughout the land. The Green Army Drum Corps creates a playfully percussive rhythm, and Sarge and the Green Army Patrol march through the land, playing games with guests in a fun and interactive boot camp.